Mark Schwarzer Finished | The Transfer Tavern | Where football transfer rumours fly or die! Four years ago, Mark Schwarzer was tipped by many to be Arsenal’s new goalkeeper after some rather unimpressive performances by then number one Manuel Almunia. Despite the apparent interest from the Gunners, the Australian international chose West London over North London as he signed for Fulham after leaving Middlesbrough at the end of his contract with the Riverside outfit. Now in his fifth season at Craven Cottage, it seems that the 39-year old maybe entering the final months of a distinguished career with the reports that Martin Jol is interested in bringing Standard Liege keeper Sinan Bolat to the banks of the Thames. The 24-year old Turk has been rehabilitating from a cruciate ligament injury in the English capital and it is believed that this is a precursor to a bid in January from the former Tottenham and Ajax boss. The former Genk stopper could be brought in to provide competition to the aging Schwarzer, but it is rumoured that Jol is looking for a ready-made successor to the veteran of over 500 games in English football. 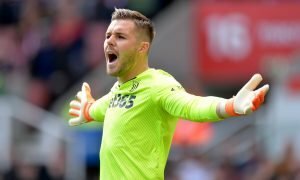 If true, it is not only a blow to Schwarzer who would have wanted to go out under his own terms, but also to David Stockdale, who has impressed in his 16 appearances for the Premier League side so far. 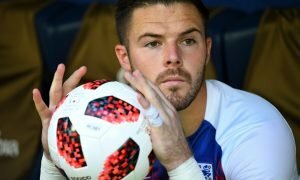 The former Darlington man was selected in a number of England squads under Fabio Capello, but his lack of first team football has seen him overtaken in the pecking order by Birmingham’ s Jack Butland and Norwich’s John Ruddy, and it would seem that he may have to look elsewhere if he is going to push for international honours on a more regular basis. Whether Schwarzer, who will enter his fourth decade next month, will have the chance to retire from the game as a regular starter remains to be seen, but he will take heart from 41-year old Brad Friedel, who is currently keeping France number one Hugo Lloris out of the starting eleven at Tottenham.